Formula X Atlantic-Pacific Nail Polish Collection | Top Beauty Blog in the Philippines covering Makeup Reviews, Swatches, Skincare and More! 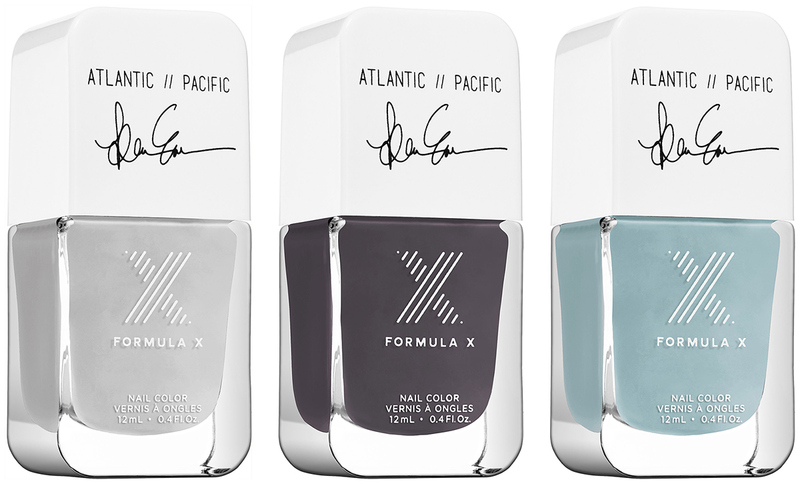 Introducing Formula X #ColorCurators: Atlantic-Pacific Edition. Inspired by the mysterious beauty of changing seasons, fashion blogger Blair Eadie of Atlantic-Pacific curated three modern neutrals that are the perfect transitional shades for any style or wardrobe. Featuring Taken By Storm, a midnight charcoal shade — Blair's favorite alternative to black; Atlantic Mist, a pastel sage — a sophisticated take on mint green; and Pacific Haze, a chic, cool, whisper-soft gray. This collection is part of #ColorCurators, a first-of-its-kind collaboration featuring 10 of the hottest stars in beauty, fashion, and wellness who have teamed up with Formula X to express their signature style through customized nail colors. Each month, one color curator will reveal three limited-edition shades — each inspired by their own passion and lifestyle—to tell an empowering story through color. Love all nail polish colors! NEW REVIEW POST | Novex: Brazilian Keratin - Leave In Condicionante.